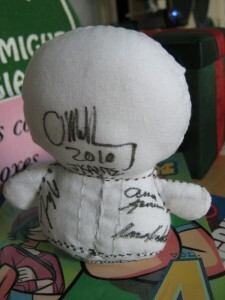 During Comic Con 2010, I ran around the con floor and other locales with a bag full of blank dolls, searching for artists to vandalize them. These are the results. Bryan Lee OMalley was a little busy at Comic Con, what with his book coming out, and his movie coming out, and the little Scott Pilgrim theme park they’d installed in the Hilton across from the convention. 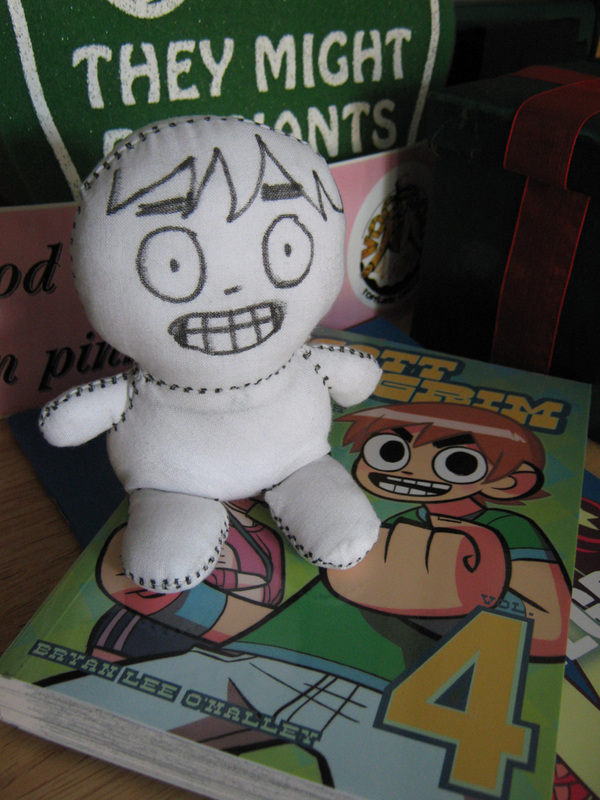 Still he took a little time out of his day to turn this into a Scott Pilgrim doll for me. “His spirit is forever trapped now, inside the doll,” he said. And then, he vanished. But I was still around, so I got it signed by a few people. OMalley’s up top, with John Kantz (who worked on volume 6) underneath him, Kieran Culkin (Wallace Wells) on the left, Anna Kendrick (Stacey Pilgrim) and Aaron Ancheta (also an assistant on 6) on the right…. And then Julie Powers went and took all the credit. 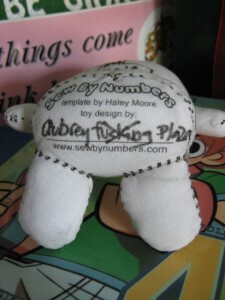 I did a lot of the early sewing work for Sew By Numbers at various art meetups, specifically Drink and Draw DFW. It was only natural that I ask the artists to draw on the dolls after I finished them. Here are some of the results.